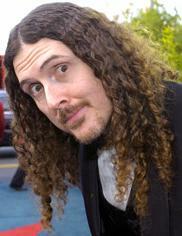 World of Weird Al Yankovic • View topic - Your Horoscope For Today! The question is how familiar the audience is with ska. That's basically the whole joke, assuming you know what a horoscope is. Yes that and my mom didn't get I Love Rocky Road either. Which is just sad. Re: Your Horoscope For Today! This is my favorite WA song because people always post their horoscopes, and this song makes fun of it.That makes this song hilairous. I thought he did do it live either on the Running With Scissors tour or the Poodle Hat tour... if only there was a place that had all of his tour setlists in one easy-to-find spot. Oh well. Wouldn't mind seeing this make a triumphant return this year.